Get your Bees gear here! 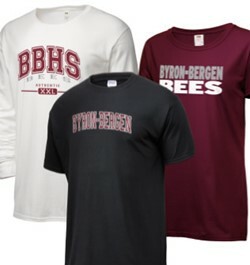 Shop your Byron-Bergen Central High School Apparel Store for the latest selection of Byron-Bergen Bees Fan Gear. Access the Byron-Bergen store website here.